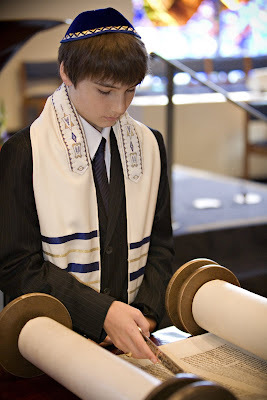 I had the pleasure of shooting Gabe’s Bar Mitzvah on Saturday. What a blast! A great time was had by all. His ceremony was at Temple Adat Elohim in Thousand Oaks. We started with pictures and watched all the kids head off in a big red english bus. It looked just like the red bus from Harry Potter. I’m sure all the kids just had the best time on the bus trip to the reception. The reception party was held at Los Robles Greens. The set up at Los Robles is just awesome for events. The adults had cocktail hour on one end and the kids had appetizers on the other. I loved taking photos of the kids. They we having so much fun it was contagious. They had the money machine, photo booth, tattoo paint artist and DJ games. It made me wish I was 13 again! Lisa picked out the best DJ (U think I’m Crazy Entertainment). What an awesome job he did! The music was great and he really played with the kids. A good DJ really makes a party! The Markowitz family looked like they had a really great time!